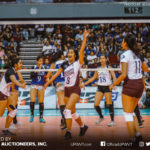 The UP Lady Fighting Maroons couldn’t complete a comeback as it suffered its fifth loss of the season in the hands of the FEU Lady Tamaraws. 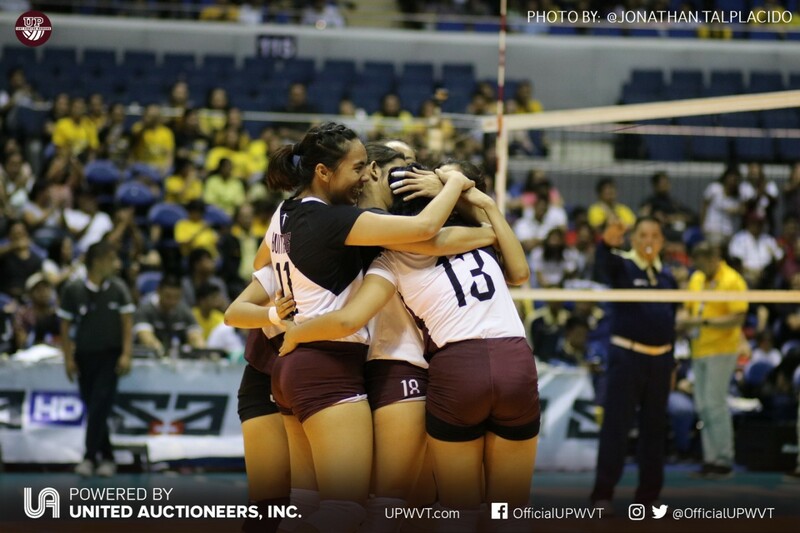 In a duel for the fourth spot, the UP and FEU face-off was pure intensity from the get-go. The first set saw heavy attacks from both camps with the Tamaraws taking an 8-point lead mid-set from service aces and UP’s reception errors. 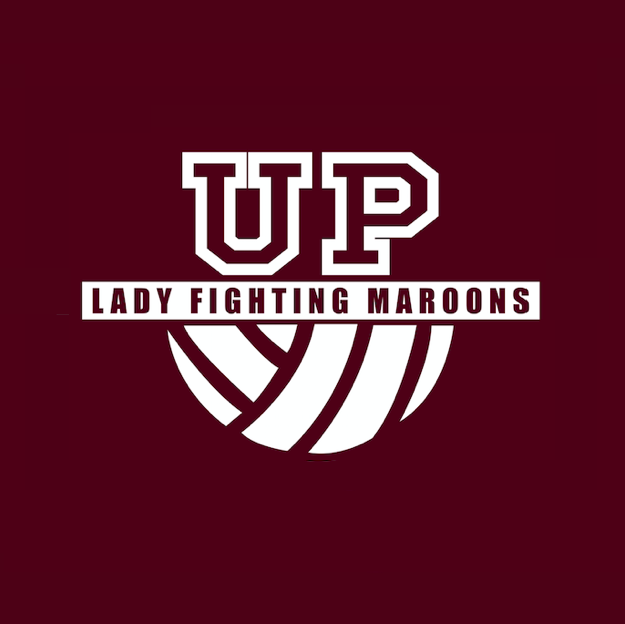 Justine Dorog’s powerful first helped the Maroons mount a comeback to stay within close distance, 20-23. But the opponents had enough fuel to shutdown the resurgence and bag set 1, 21-25. FEU led the set with 6 service aces despite UP’s 10 attacks. It was all Tots Carlos to start the second canto, as the captain scored 4 of her team’s first 8 markers. Valuable contributions from Marian Buitre and Dorog also gave the team a comfortable advantage through much of the set. FEU’s late-set surge, behind Kyle Negrito’s service aces, was not enough as UP tied the match at one-set all, 25-19. The Diliman-based team led the set in attacks (12 to FEU’s 9) and blocks with 3. 6-0 is how UP started the third behind rookie Lorie Bernardo and Marist Layug’s strong plays. But a determined Tamaraws crawled back to tie things up at 17 and finally take the lead at 18-19. The squad from Morayta never looked back as they went on a 7-2 run to take a comfortable lead at the tail-end of the third, 19-24. UP tried to recover with a 4-0 rally but it was not enough as FEU bagged the set win, 23-25. UP, again, started the fourth canto on a strong note with an early lead. But the Heather Guinoo-led squad found renewed energy to make a repeat of the third with a comeback to eventually seal the match win, 22-25. Carlos led UP with 22 points, while Dorog added 15. Buitre totaled 9 markers and Layug added 6. FEU’s Guinoo and Jerrili Malabanan had a total of 39 points. The loss puts UP in fifth place, a game behind the Tamaraws and the UST Golden Tigresses — both tied for fourth at 7-4. 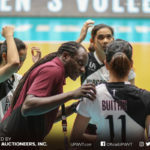 With three games left in UAAP Season 80, the Lady Fighting Maroons hope to secure another trip to the Final Four with a win against the UST Golden Tigresses on April 10 (Wednesday), 4pm at the Filoil Flying V Arena.